Grilling and barbeque with friends and family, trap shooting and camping. Joshua J. Dubbelde joined Samuels Miller in 2011 and became a partner with the firm in January 2017. He graduated with honors from the University of Illinois College of Law in 2011, having previously received a B.S. in Bioengineering from the University of Illinois at Urbana-Champaign in 2004. He is licensed to practice law in the State of Illinois and also admitted to practice before the U.S. District Court for the Central District of Illinois. Joshua’s practice includes primarily municipal and local government representation; wills, trusts, and estate planning; trust and estate administration and litigation; real estate transactions and litigation; and business formation, advice, and acquisitions. Prior to law school, Joshua worked for approximately four years as a chemist and researcher for several large chemical and agricultural companies. Although his shift from scientist to attorney may be an uncommon one, he finds that the analytical and deductive skills necessary for both professions have allowed for a rewarding career change. 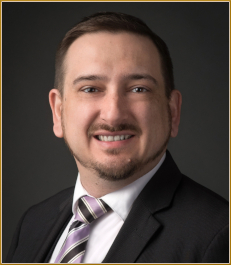 Joshua is a member of the board of directors of Webster-Cantrell Hall and he is a Past President of the Central Illinois Estate Planning Council. He is a member of the Illinois State Bar Association and the Decatur Bar Association.